Indium Corporation's Vice President of Technology, Dr. Ning-Cheng Lee, will present workshops in Bangkok, Thailand; Penang, Malaysia; and Chennai, India, in January 2008. Indium Corporation and Fusion Advantec will present a full day workshop on "Environmentally Friendly Packaging and Assembly" on 18 January 2008 at the Miracle Grand Hotel in Bangkok, Thailand from 9.00am to 5.00pm. 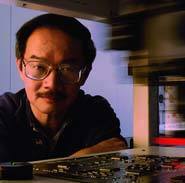 In this session, Dr. Lee will focus on meeting the challenges of electronics miniaturization and wave soldering. Please call Fusion Advantec at +66 02965 8006 or email asiapac@indium.com to register. In addition, Indium Corporation will host Dr. Lee's workshop on the "Future of Pb-Free Solder Alloys & Fluxes" at the Penang Skills Development Center in Penang, Malaysia on 22 January 2008 from 9.00am to 12.30pm. To register for this workshop you can call Sehar Samiappan at +60 12 4839314 or email ssamiappan@indium.com. On 24 January, 2008, Indium Corporation and Spur India will present "Achieving High Reliability for Pb-Free Solder Joints" at the GRT Grand Hotel Convention Center, Chennai, India from 9.00am to 5.00pm. This workshop will explore electronics reliability and materials considerations. Please call Liya Koorithodi at +91-44-43552662 or email lkoorithodi@indium.com to register. Dr. Lee is a world-renown soldering expert and an SMTA Member of Distinction. He has extensive experience in the development of high-temperature polymers, encapsulants for microelectronics, underfills, and adhesives. His current research interests cover advanced materials for interconnects, and packaging for electronics and optoelectronics applications, with emphasis on both high performance and low cost of ownership. Indium Corporation is a premiere materials supplier to the global electronics assembly, semiconductor fabrication & packaging, solar photovoltaic, and thermal management markets. Founded in 1934, the company offers a broad range of products, services, and technical support focused on advanced materials science. With facilities in the PRC, Singapore, the United Kingdom, and the USA, the company is a four-time Frost & Sullivan Award winner, and registered to ISO-9001. For more information about Indium Corporation visit http://www.indium.com or email abrown@indium.com.